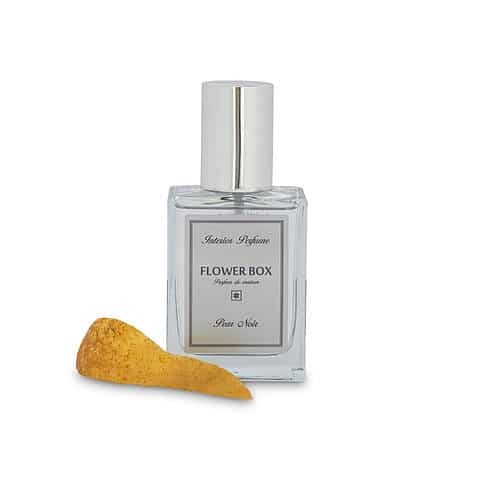 This premium Interior Perfume by Flower Box smells incredible. A variety of scents are available. Peach Magnolia – Juicy Peach Magnolia, Patchouli, Bergamot & Peppermint Sprigs. Reminiscent of Spring’s first morning bloom. Sweet and floral middle notes of Juicy Peach and Magnolia are embraced by the citric and mint notes of Bergamot and Peppermint Sprigs.Patchouli sets the stage with a creamy undertone as subtle as can be. 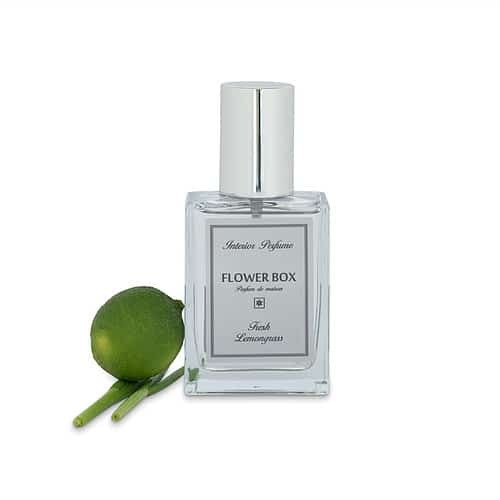 A stimulating, but not overpowering fragrance, embodying the essence of Spring. Pink Flowers – Pink jasmine, cyclamen, gardenia ,fir needles & pink grapefruit. Pink flowers is the epitome of feminine charm. Floral notes of all kinds dance together in this lavish blend; Pink Jasmine, Gardenia & Cyclamen combine to forge the aroma of your dreams. Bursts of Fir needle and Pink grapefruit Are enjoyed by those with an inquisitive nose. Blood Plum & Leather – Raw leather, Blood Plum, Oak Moss, Pine Needles, Rosewood, Vetiver, Vanilla & Raspberry. A complicated and stormy fragrance, perfect for Winter. Warming notes of Raw Leather, Musk and Vanilla are offset with fresh scents of Oak Moss and Vetiver. Blood Plum and Raspberry tie this all together with the slightest touch of Rosewood promoting an unexpected balance. Blood Plum & Leather is cherished by the curious cosmopolitan. Flowers & Pear – An opulent fragrance. Fresh top notes of green pear, freesia and amber combine luxuriously with the earthy base notes of patchouli and cedarwood. Cucumber and Wild Basil – Cucumber, Wild Basil, Melon, Grapefruit & Coriander. (Refreshing and revitalising, this clean fragrance delivers fresh green cucumber with a splash of citric grapefruit & sweet melon. The herbal delights of wild basil & coriander ensure this fragrance tick every box for the most discerning nose chasing Revitalisation. Cucumber & wild basil will refresh any space, any time of year. Aqua – Ocean Spray, Palm Leaves, Ripe Melons, Wild Hibiscus & Musk. Be surrounded by the tropical waters of your own picturesque island. Clean air filled with wafts of ocean spray, sweet melons, wild hibiscus & swaying palm leaves invigorate the senses. A fragrance that stirs memories of your favourite eau de cologne, attractive to both women and men.